If you are looking for a product that stands out, then our Torn Edge Prints will give you that distinct look that you won't see anywhere else. The edges of these prints are torn by hand. We can float these in a mat and we can also float them in a frame without a mat. The torn edge gives the paper a handmade appearance, which emphasizes the care and craft of the production process. Available either with a border or without a border. Photographic prints will have a luster finish unless otherwise requested. This glossy surface offers sharp detail, high intensity colors, and a distinctive pearl-like appearance. 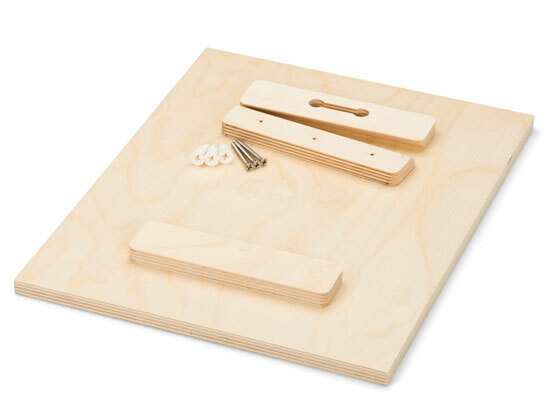 Perfect for competition and display prints. *Additional cost. Textures can be pressed into prints of all surfaces to add a classic fine-art look to your image. Textures on Deep Matte paper are not recommended. First we make a print on your image on Lustre Paper or Metallic Paper. We then over-laminate the image with a soft Satin Laminate or a Glossy Laminate. 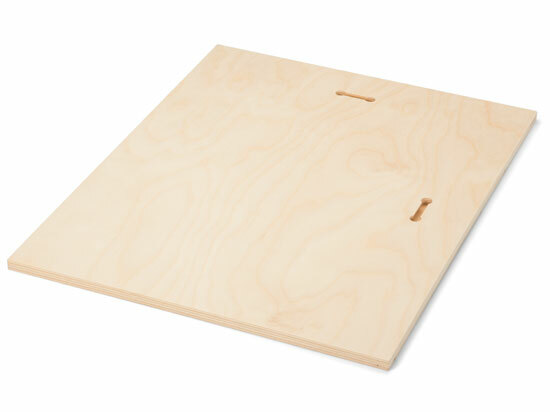 The resulting product is then wrapped on Gatorboard, with or without a foam layer (Softop) in between the print and the board. For a striking effect, we apply a spacer (Float Mounting Block) to the back of the ThinWrap, which allows the image to be hung and appear to float from the wall. ThinWraps can also be ordered as designer Wall Clusters and Splits, or with an optional Easel Stand for tabletop display. Allows the ThinWrap to be hung and appear to float from the wall for a striking effect. Mounts the Wood Print 1/2" from the wall for a "float" effect. 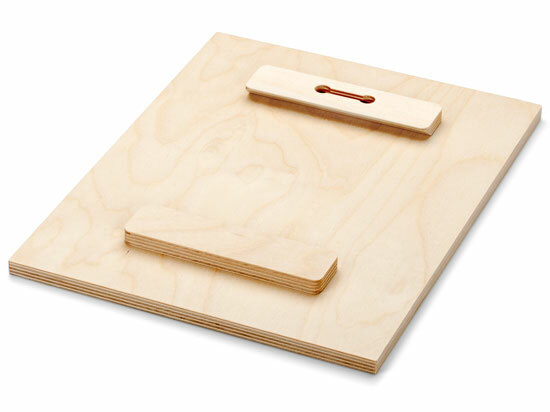 Mount the Cleat to the wall to easily and securely hang the print from the Float Hanger. Recommended for hallways and high traffic areas. 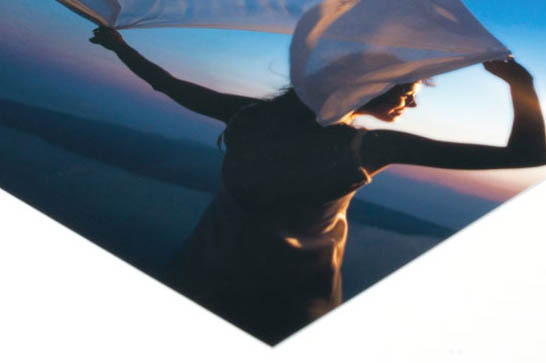 Canvas Gallery Wraps are printed directly onto canvas material. The print is then wrapped around an artist's stretcher frame, and finished with your choice of hanging hardware. Also available with a variety of custom Frames, and as Wall Clusters and Splits. Choose from 3 stretcher bar depths on our Fine Art Canvas Wraps. 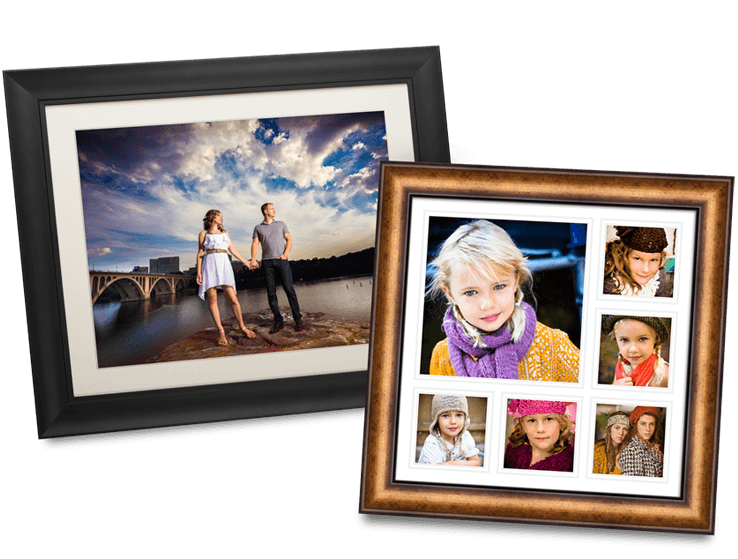 Float Frames are mounted with a space between the frame and the Canvas Wrap, so that your print appears to be floating within the frame. Please note that these special frames are available only with 1½" Fine Art Canvas Wraps. with optional matting and/or acrylic to protect the print. 45 Moulding Colors & Profiles, 13 mat colors. Single or double mats are available with single windows or multiple windows in various configurations depending on the overall finished size. Genuine natural solid wood mouldings have a naturally rich finish and grain, and sometimes vary in finish slightly. We take extra care to ensure your frame is free of flaws and meets your high standards, so you receive a beautiful hand-made product you'll be proud to present and display. 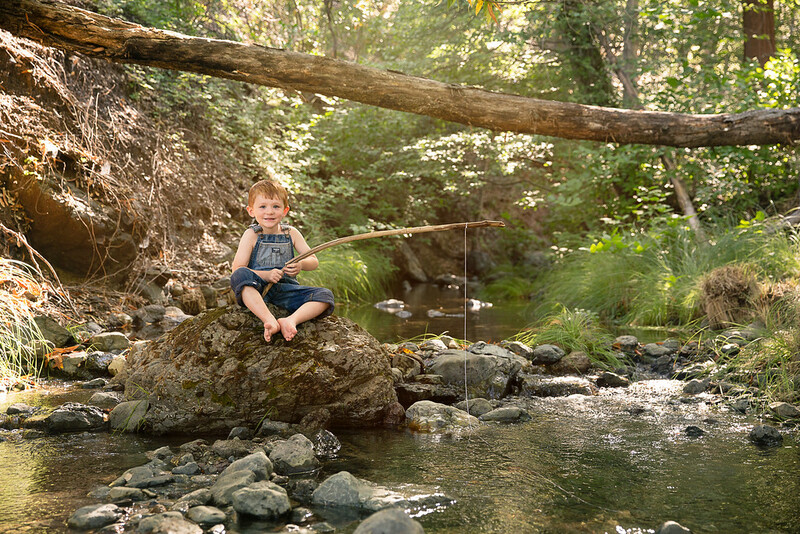 Barnwood frames are produced from re-purposed wood harvested from old barns, floor boards, marine wood, and fences from the Santa Cruz, California area. The wood is cleaned before use, but roughness, imperfections and discoloration are inherent to the material making each handcrafted Barnwood Frame truly one-of-a-kind. Finished with paper backing and a wire hanger. Framed Prints 11x14 and 12x12 or smaller feature a sawtooth hanger. 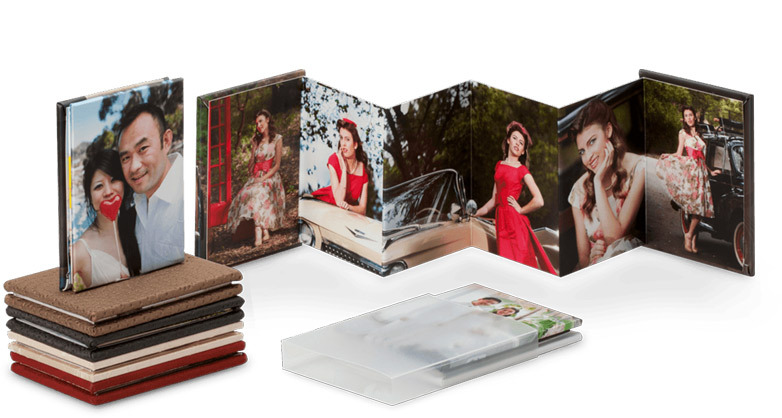 12"x 8", 7"x 10", 10"x10"
15"x 10", 10"x 14", 12"x 12"
Customizable hardcover - leather, linen, or photo wrap. Printed with the highest quality digital press printing technology available. Photos can be showcased as panoramic multi-panel spreads, or a series of photos side-by-side. 10 image panels and a photo wrap cover. 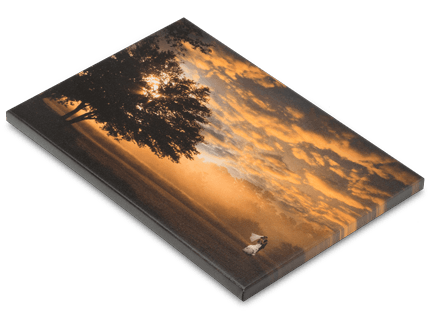 Softbound albums are printed on photographic paper and mounted back-to-back. They are true lay flat albums with thin pages. 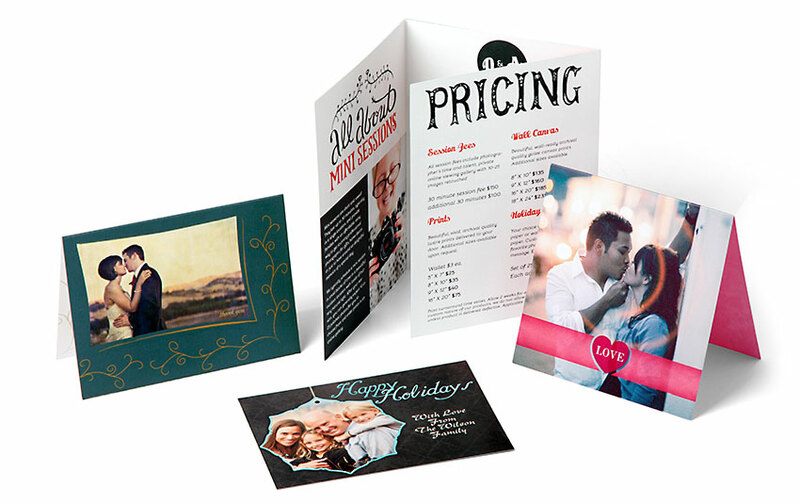 Lustre, Glossy, or Metallic Professional Photo Papers with Protective Coating. Lustre or Metallic Surface Full Wrap Photo Cover. 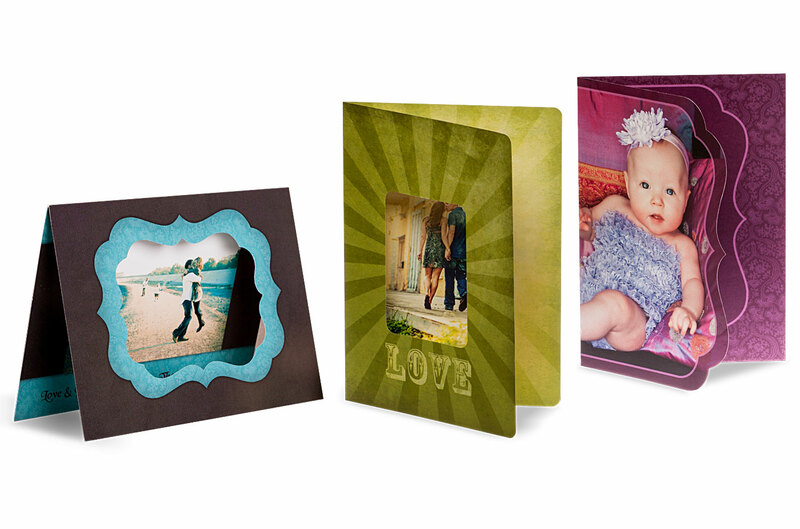 Flush Mount albums embody our philosophy of outstanding value without compromise to quality or craftsmanship. 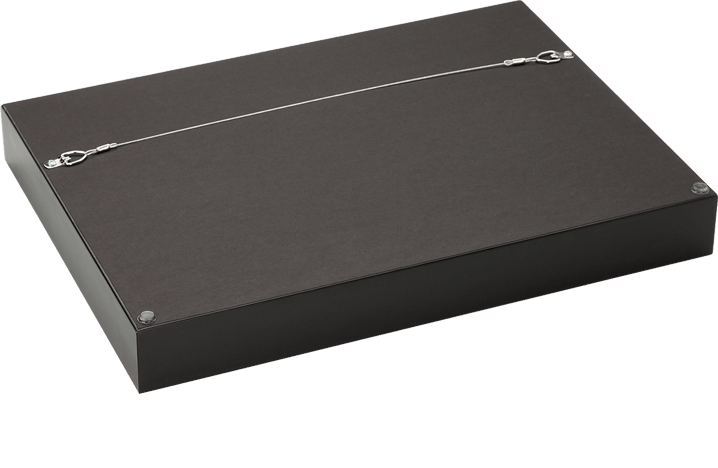 They're hand-bound using only the finest archival quality materials. It is waterproof! With a lifetime warranty. Since our flush mount albums are impervious to moisture, our albums are guaranteed not to warp which is a common problem in humid locations. 1/16 inch page thickness. So many options, let's create your dream display. Pendants: Images printed on Metal and inserted into silver-plated, nickel-free pendants. Each charm comes with an 18” chain to create an elegant necklace. Lockets: Featuring three photos, one on the front, and two inside. Gallery Blocks bring together a unique combination of text, color, photos, and 3D construction to create a stunning display! This innovative and unique product helps you showcase your creativity with multiple options. The floating blocks create impact when incorporated in the design of the base to make your images or text standout. 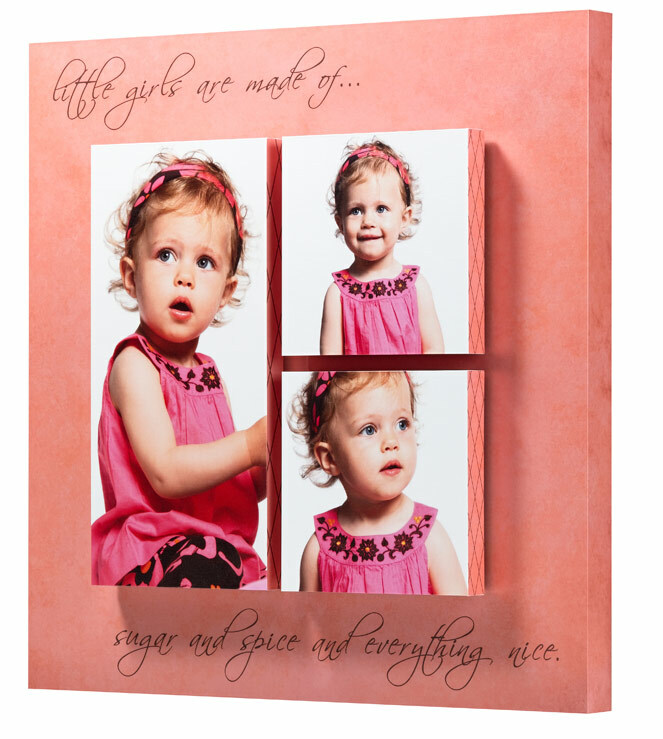 Each individual block and backing can be printed with your own images and artwork, or choose from several pre-designed templates. 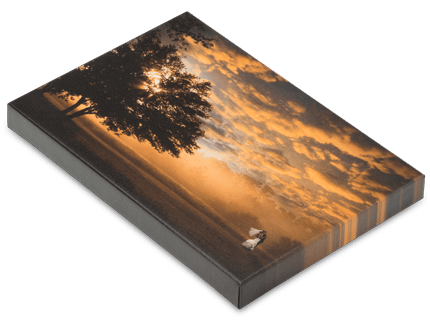 Kodak Endura Metallic prints are carefully laminated onto a high-quality wood box. Concealed magnets keep boxes closed, but easy to open. 100 or 250 print capacity. Feature your photos or artwork printed directly onto the lid, or engraved with your special message or logo. Available in Natural or White Finish. Hold 200 photo prints, 20 mounted prints, 25 metal prints. 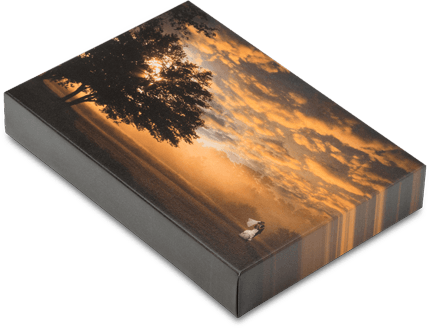 Customize your Wood Box with a printed image directly onto the solid wood cover with your choice of Natural or White Finish. Your choice of a Natural or White Finish. 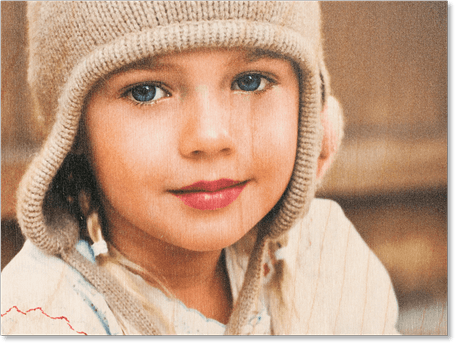 A white ink underlay is printed beneath the image area to make the true colors of your image pop, while still allowing the beautiful wood texture to show on the print surface. 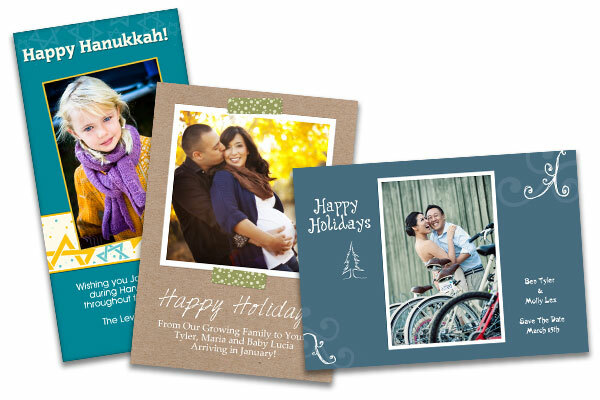 5"x 7" or 4"x 8"
Custom design on both sides of this high quality thick print card. Single sided photographic print. Envelopes are included with your card order. 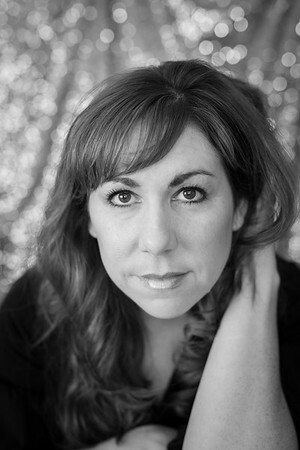 Special packages will be custom designed for your session and only available during your in person ordering session. 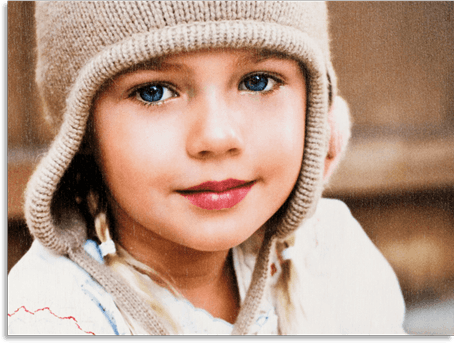 Your personal webpage of your images. You can view, share, save and order additional prints and products at a gift price. Images are watermarked. Digital files are provided as a download link of the high resolution jpeg image files. You gain full rights of use to your images, except for the use in competition and sales to profit from the images. Please contact me with special requests for commerce use rights. It is requested for your safety and mine, to only share the watermarked images on social media. A video full of your special images to cherish and share. We often capture short video clips during the session, which are paired with the finished images for a truly memorable keepsake.